We usually hear the words Diversity and Inclusion together. We talk about valuing differences and bringing “your whole self to work”. But what if people don’t know how to bring their whole self to work? When society, upbringing and current leadership teams still operate under western norms, some people find it hard to bring the cultural aspect of themselves to the workplace. Therefore, the real question needs to be: how do we put the inclusion in diversity and inclusion? Often, organisations have great intentions but fail to create a genuinely inclusive environment by using the same systems that created the exclusion in the first place. Assuming that people know how to bring their whole self to work can result in unintentionally excluding behaviours. In order to truly achieve multiculturalism, we need to set an example by starting with biculturalism which recognises the standing of Māori as tangata whenua and the indigenous people of Aotearoa. Indigenous values, whether they are New Zealand Māori, Australian Aboriginal or American First Nations, all place a high importance on values such as relationships, long-term sustainability and generosity. There is currently a lot of focus within organisations on developing the cultural competency of the executive team but it is equally, if not more, important to draw out the potential of your existing Māori employees. By bringing a Māori lens to the transferable skills that people have, you empower people to fully utilise their strengths at work. By ensuring the voice of Māori is heard throughout, organisations benefit from the innovation and creativity that comes with diversity of perspective as well as the holistic and sustainable cultural values of the Māori world view. Understanding and embracing Māori values and perspectives can be successfully applied as practical leadership tools in the commercial context. To lead others, you must first learn to lead yourself. By focusing on a Māori view of decision making, using pono (truth), tika (right) and aroha (love) we can connect making robust commercial outcomes with a feeling of being true to cultural values. We recently worked with SKYCITY to develop a bespoke Māori Leaders programme, Tahuna Te Ahi. We focused on Mana Wairua (Indigenous power and authority), Mana Hinengaro (Decision making and resilience), Mana Tinana (Leadership style and executive skills), Mana Whanau (Influence within my part of the business), and Potatetanga (next steps and planning for the future). 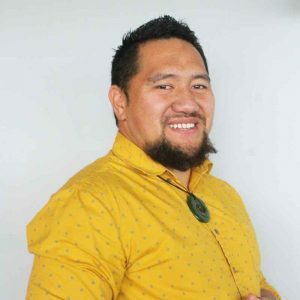 By enabling and empowering participants to bring their Māori values and culture to work every day, they were able to demonstrate the benefits of an inclusive paradigm to the rest of the business. To find out more about the SKYCITY programme check out this article or this video. You can find out more about Indigenous Growth and contact Michael through their website.